A few years ago Mary Catherine Murphy’s life was in a downward spiral. At just 5 foot 2, a heavy smoker and weighing in at over 20 stone she was dangerously obese. After years of gradually piling on the pounds her health was starting to deteriorate and she was diagnosed as Type 2 Diabetic. Even the simplest of tasks became difficult and even walking a few small paces left her gasping for breath and needing to take a break. Fast forward to 2015 and Mary is a completely different, almost unrecognisable, woman. With 10 stone shed and her first full marathon under her belt the life Mary leads now is stark contrast to the destructive path she was following previously and her pure grit and determination against all odds is a remarkable and inspiring story – showing that with a little focus and positive thinking that you really CAN achieve so much more than you ever thought possible. Mary had known things were sliding for a while with declining health; a cut on her leg, which had turned into an ulcer and then a Type 2 Diabetes diagnosis. She knew things had to change. As she stood tentatively on the scales back on that October day in 2010 and saw the numbers flick up at well over the 20 stone mark she was determined to make the changes necessary to never reach 21 stone and to completely start again with positive changes to her life. The first thing to change was slowly making adjustments to her diet and introducing exercise. At first it was just small and very slow walks. She recalls having to stop every few minutes to sit and rest and laughs at her still slow changing mentality at this stage. “I used to have to stop every while and take breaks, and I would have a cigarette each time I sat down; its unbelievable thinking back to it, complete madness”. None the less Mary continued to make slow and steady changes and the results started showing in her body as the pounds began to fall off. A little further down the line and an improved fitness level Mary was starting to find something she had not had before – the very beginnings of that all importance confidence in her abilities which had got her this far and would continue to be the driving force behind her success. This was where I had the pleasure to meet Mary myself for the first time at the new Zumba class I had set up in our Tinahely Studio. The increased confidence she had gained meant that she finally felt less self conscious and ready to attend her first fitness class. She had heard about my own weight loss journey and really felt determined she wanted to follow the same path and completely turn her life around. After a short time of having Mary in my classes she came to me feeling overwhelmed with the lack of progress on the scales. Her weight loss was appearing to come to a standstill despite the massive gains she had made with improving her fitness levels. I recommended taking a closer look at the food intake. Exercise is fantastic however there is that old saying, “you can’t out train a bad diet” and quite often we underestimate the amount of food we are consuming whilst at the same time overestimating the amount of calories we are burning through exercise. I suggested using the Why Weight food diary to keep more careful track of exactly what was going where in an effort to get things moving again. After just a short time of tracking her food and exercise more accurately Mary’s weight started to fall again, seeing things in black and white was the reality check she needed to remain accountable and continue learning. “Seeing everything I was eating written down in front of me helped me to realise where I was going wrong. Some of it was down to large portion sizes and some of it was down to foods which I didn’t realise were as bad as they were. Once I knew where I was going wrong it helped me to make small changes and make better food choices”. By late 2013 Mary had dropped to 12 stone and once again she found her weight was stalling. At this stage I suggested she try running to increase the intensity of the exercise to give her a little boost again. To say Mary was a little unenthusiastic about the idea was an understatement as she said, “I don’t think running is for me. I’ll never be a runner”. I told her what I tell anybody new and daunted by the prospect of running, “if you can walk you can run – just walk as fast as you can and then pick your feet up into a very slow trot”. She was still quite unsure about the idea but with a little more gentle persuasion Mary decided she really wanted to give it a go. At first she used the same technique as I had used myself – just going from one lamppost to the next with short rest breaks in between. An invitation from work friends to do the Great Spar Run helped to give her a little positive push too and before long her small jogs from pole to pole turned into finally completing the 5k distance. By 2014 Mary had been bitten by the running bug and started entering numerous events with other runners from the Why Weight Studio. Competing in events with friends and turning the 5k into 10k Mary was going from strength to strength and running was now cemented in her new routine. By the end of 2014 Mary had done something she had never envisaged happening – she had the courage and confidence to join her nearest running club Sliabh Buidhe Rovers AC to continue her improvements in running. Somehow from that place of self-doubt and uncertainty Mary had done it – she WAS a runner. With a continued combination of tracking her food, running and toning exercises Mary continued on her road of self-improvement. Her weight continued to drop and even though several weeks passed with no loss on the scales she continued to lose inches across her body. Never giving up with the non-movement on the scales Mary celebrated the non-scale victories! Her improved appearance of her body, her massively improved fitness and most of all a recent check up at her Dr. revealed that her medication for her diabetes was drastically reduced from 4 tablets to just 1! By early 2015 Mary had set her sights on the ultimate challenge of running a full marathon! Like anyone thinking about running a marathon for the first time it was a week by week process of slowly increasing the miles but with the support of her friends and family and her new running buddy Michele, whom she had met through Why Weight Ireland, Mary was an unstoppable force as she really started to believe that actually she really could do anything if she set her mind to it! After months of training and hours of long runs Mary and Michele crossed the finish line side by side for an emotional finish at Dublin City Marathon 2015.
the Mary we see now pounding the streets with grit and determination is such an amazing and inspiring change. A few years ago if you had told Mary she would be where she was today she certainly wouldn’t have believed it but now she simply says, “if I can do it – then anyone can”. To date Mary has now lost over 10 stone. She has kicked the cigarettes to the curb and she is full of a zest for life and is now embracing new challenges thrown at her instead of shying away from them. Her diabetes is almost completely under control through diet and healthy lifestyle and she is looking forward to continuing on the same path of self-improvement with new challenges for 2016. Mary’s life has changed for the better in so many ways – if anyone is in any doubt about what they can achieve I would say never believe the doubt, allow yourself to believe in yourself because dreams can and do come true. Mary continues to keep track of her food using Why Weight Ireland and continues to attend various fitness classes in the Tinahely studio. 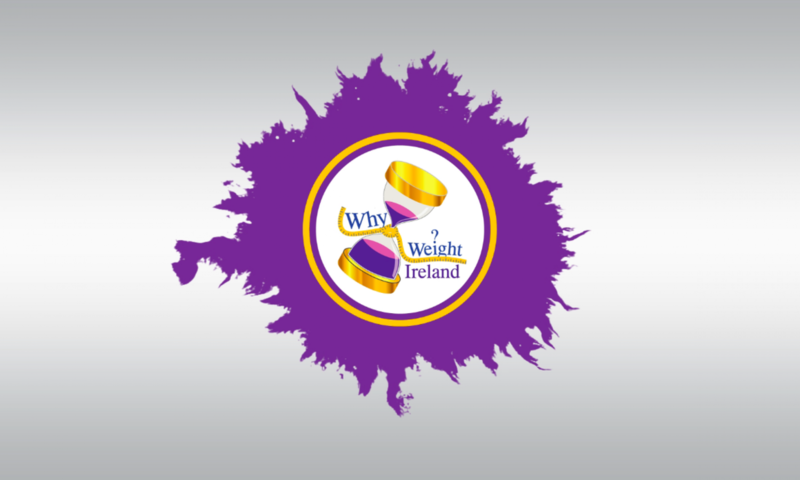 If you would like to become one of our success stories then signup with Why Weight Ireland today and make the difference now. Visit www.whyweightireland.ie or email info@d1459786-92704.blacknighthosting.com if you would like to have your success story shown.